What is Scottoiler FS 365? FS 365 is a water-based corrosion inhibitor, the idea is that you spray it on and the water content carries it into all the hard to reach places of the bike, we’re talking every tiny little gap. The water content then evaporates leaving a film of protection on all surfaces. Scottoiler FS 365 works in a number of ways to reduce corrosion. Pure water on it’s own will not cause corrosion, however as soon as it comes into contact with the atmosphere it absorbs acidic gases such as carbon dioxide that do. This is where FS 365 comes in. 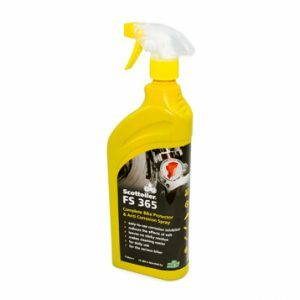 FS 365 is formulated using mild alkalis and chemical compounds known as pH buffers that work to balance out the acidic elements. In general by supplying a lubricant to all metal surfaces which builds up as you re-apply, protecting them from the air. When it comes into contact with salt it reduces its catalytic effect on the corrosion process. 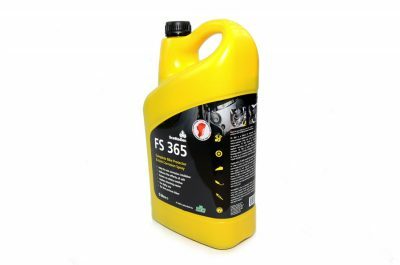 FS 365 is a blend of mineral oil, surfactant, anti-corrosion additives and water, which forms a stable micro solution. This forms an effective layer of protection against corrosion, clinging to all surfaces and building up over time with each application. FS 365 is water soluble and readily biodegradable which further helps when it comes to cleaning as any dirt which sticks to the FS layer is easily washed away. So, in essence, FS 365 works as a barrier protector as well as disrupting the chemical processes involved in corrosion. With continued re-application, FS 365 makes cleaning the bike easier and builds up layers of protection. What can I spray it on? It is safe to use on all materials. Simply spray it on to plastic, metal, engine components, hoses, carbon fibre, anodised surfaces as it won’t affect them, only leaving a thin layer of protection which can be buffed up to a nice shine. 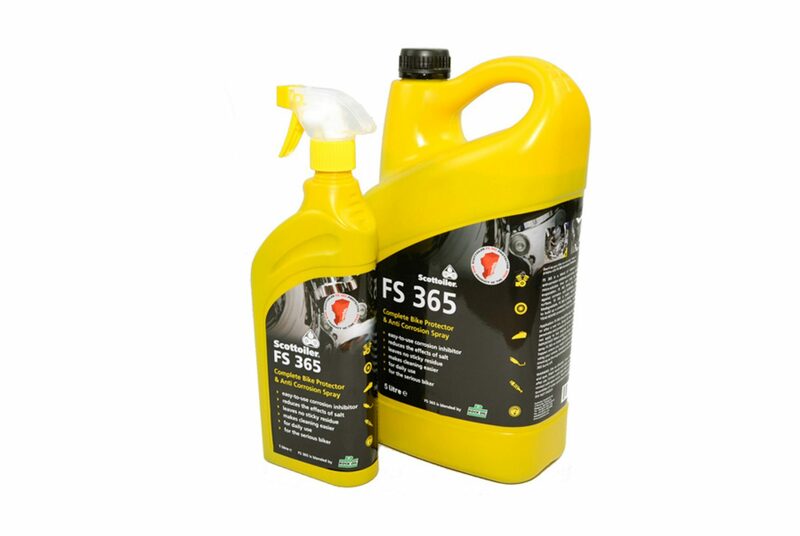 DO NOT spray FS 365 on the brake discs, callipers or tyres, although if you do, don’t panic. Wipe off and thoroughly hose off with water. FS 365 will wash off without damage. We recommend regular re-application of FS 365 for best results, even if your bike is in storage, as temperature changes can cause condensation to occur.